Over the last few years, the Icelandic capital of Reykjavík seems to have become the coolest (no pun intended) city go on vacation. Featured everywhere from fashion sites to celebrity Instagrams, the city (which we hear is the best place ever on New Year's Eve) has become a must-visit place on the map. Aside from being a cultural mecca, Reykjavík is also home to one of the most well-known musicians in the world—Björk of course! Sharing her homeland is the insanely popular post-rock group, Sigur Rós. The trio—whose music is the beautifully ethereal soundtrack to your dreams—have performed over 640 shows around the world since their formation in 1994 (each of which is archived on the band's website). We had the chance to snag some photos for an archive of our own, which you can check out below from the "Hoppípolla" musicians' set in Phoenix earlier this month. 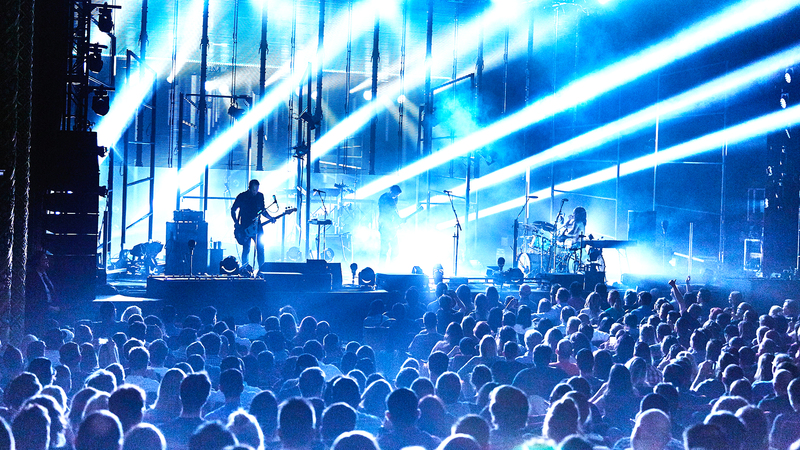 Scroll through the epic photos, then Track Sigur Rós on Bandsintown so you never miss one of their concerts.